UX & UI Design: What’s The Difference? UX and UI Design are frequently confused for one another and searching for a definition on Google doesn’t help. Doing so will provide you with a blend of confusing and blurred definitions that will only leave you asking more questions. But do not fret, we have a solution. 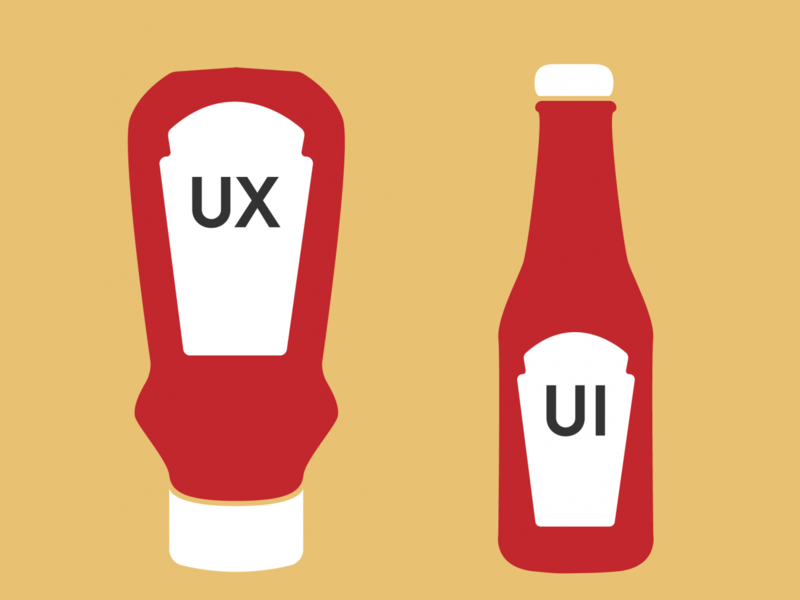 Here is our simple guide to understanding the difference between UX and UI Design. User Experience Design or ‘UX Design’ is concerned with putting the consumer’s needs first. A UX Designer focusses on defining specific user problems and improving the usability of a product to enhance the overall experience. A UX Designer will begin the design process by understanding the user-base of a product. They will generate personas based on the character types of the products target markets and determine what is the best solution for them. Wireframes and prototypes (fancy phrases for sketches and mock-ups) are completed to ensure the product logically flows from one step to another and rigorous user-testing and analytics refine the process, ultimately producing the best user experience. User Interface Design or ‘UI Design’ is concerned with the overall look and feel of a product. UI Design focusses on the layout and visual display, ensuring that the styling works cohesively with the structure of UX Design. Similarly to a UX Designer, a UI designer may create prototypes and wireframes, but on a more detailed level. They will design each screen, page and feature, focussing on particular design elements such as the styling of a button, the colour scheme of an app or the visual hierarchy of a website. A UI designer will determine where particular design elements will be placed on a screen or page making sure that it enhances the user experience. They will also implement features such as animation styles, iconography and typography and create a user guide based on this styling. UX Designers create useful and logical experiences. UI Designers create intuitive and stylish experiences. If you want your consumers to enjoy a useful, logical, intuitive and stylish experience then come and see us at for a posh coffee.